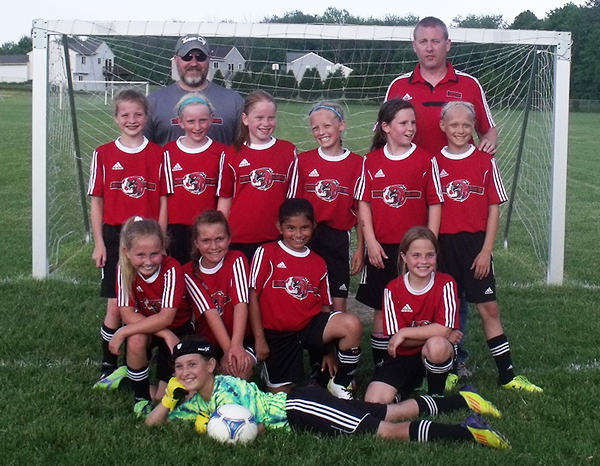 Tag Archive | "U10 girls"
Tri County AYSO U12 girls took third place in the AYSO section 8 state soccer tournament. Back row: Coach Tim Platz, Skylah Wind, Abi Mitz, Makenna Gould, Grace Miller, Paydin Gillespie, Beyonce Anderson and Coach Jason Nagy. Middle row: Taylor Ipema, Morgan Platz, Alison Myers, Karlie Platz. Front row: Macey Matulis, And Mackenzie Hess. Tri County AYSO U19 boys took fourth place in the AYSO section 8 state soccer tournament. Back row: Tristan Briggs, Aaron Jason, Austin Olson, Jordan Kohn, Marco Lagunas, Lucas Prater, Jordan Olson, Bobby Johnson, Mark Olson. Front row: Brandon Olson, Brandon Moore, Miguel Lagunas, Alex Kerslake, Dalton Hannah, and Jacob Rosco. 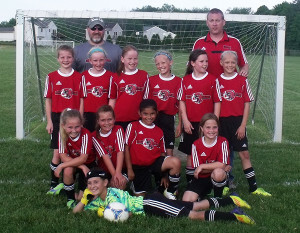 Tri County AYSO U10 girls took third place in the AYSO section 8 state soccer tournament. Back row: Natalie Martz, Jayden Marovich, Abigail Jason, Kaela Bucholtz, middle Ashley Myers and May Shephard. Front row: Lauren Lett and Teagan Gulan. Tri County AYSO U10 boys took first place in the AYSO section 8 state soccer tournament. Back row: Coach Joe Nawrocki, Caden Hoezee, Coach Dave Corbett Middle row Dylan Mulnix, John Funk, Cody Blake, Matt Stevens, Frankie Sylvester, Jimmy Sylvester. Front row Brian Corbett, Ethan Nawrocki. Several Tri County AYSO soccer teams traveled to Linden, Michigan last weekend to compete in the section 8 state soccer tournament. The U10 boys took first place, the U10 girls took third, the U12 girls took third and the U19 boys took fourth. The U14 girls tied in competition, but lost by one bonus point and did not get to play in the finals on Sunday.